Dr. Bardawil is a Fellow in Minimally Invasive Gynecologic Surgery, Baylor College of Medicine, Houston, Texas. Dr. Guner is a Fellow in Reproductive Endocrinology and Infertility, Baylor College of Medicine, Houston, Texas. Ms. Pan is a medical student, Baylor College of Medicine, Houston, Texas. Dr. Orejuela is Associate Professor, Female Pelvic Medicine and Reconstructive Surgery, Department of Obstetrics and Gynecology, Baylor College of Medicine, Houston, Texas. Brought to you by the Society of Gynecologic Surgeons. In this video, the authors review pertinent groin and pelvic anatomy for the outside-in technique for transobturator sling placement. 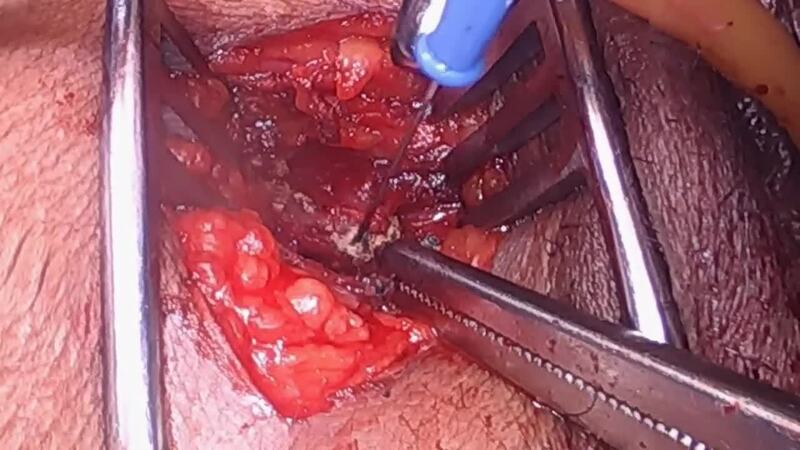 They then present the case of a 44-year-old woman who developed persistent right-sided groin pain and dyspareunia following an uncomplicated total laparoscopic hysterectomy. The surgical component of the video shows the step-by-step process for removing both the vaginal and thigh portions of the transobturator sling, highlighting the groin and pelvic anatomy that was reviewed previously.